We, True Value Homes, are a family owned company with decades of experience building homes. We are genuinely excited and passionate about every home we build, as we understand this is the biggest investment you will ever make. We specialise in the architectural design and construction of contemporary and practical homes. They are complete with generous inclusions and options to customise, all at an affordable price. We pride ourselves on the quality of our homes, our transparency with our dealings and believe your experience with us will be second to none. We are a builder you can trust to help you make informed decisions and give you confidence in the choices you make. We exude knowledge in every facet of the company, ensuring a smooth experience from start to finish. We believe that the trust we build with our clients is the driving force for the success of our company. Building your home is one of the most exciting times in your life, and it is a privilege for us to be by your side through the whole building process. If you’re looking for a beautiful quality home to be proud of, then look no further than True Value Homes. Experience it for yourself! As an individual, you have specific needs and preferences and these should be able to be incorporated into your new home. Its not that hard to do if you're set up to do it, and that is exactly where we come in. Dona Homes are boutique home builders with over forty years experience building custom homes in Melbourne and around the country. This means our expert building knowledge and workmanship ensures your home is built with higher quality construction and finer finishes. As luxury bespoke home builders, we don't mass-produce homes, therefore we can provide personalised service at every stage and customise your designer home exactly to your tastes and preferences, and all this for surprisingly less than you would expect. Max Reilly has over 40 years of building expertise within the business and focuses on developing strong relationships with architects, clients, suppliers and subcontractors within local communities. Our diverse heritage makes Max Reilly the perfect boutique builder for both commercial and domestic projects, with our staff being as diverse as the projects that we take on. 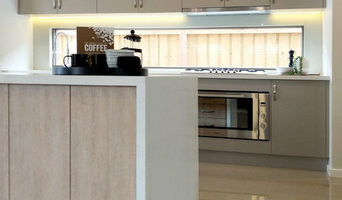 Smith and Sons Renovations & Extensions are quality builders who specialise in home renovations. We specialise in renovations and extensions, which is an entirely different project to building from scratch. We take any scale renovation project from the concept stage, through to design and then streamline a construction process to ensure a seamless customer experience that is second to none. We are also undertake bespoke home builds and design. We understand that making the decision to renovate, choosing a builder, tradespeople and all the other elements required, is a sometimes daunting undertaking; we make it simple by taking care of the whole process. Our results are driven by our practical approach and attention to detail in all aspects of renovation, including quality control, dedication to safety - and your satisfaction. Whatever designs you have in mind, we can help: Bathroom Renovations, Kitchen Renovations, Room Refurbishments, Decks, Patios, Add a storey, Home Makeovers, Commercial Renovations, Unit / Apartment Renovations, Office Renovations, Office Fitouts, Insurance Work, Maintenance Work, Raising Homes and everything in between. 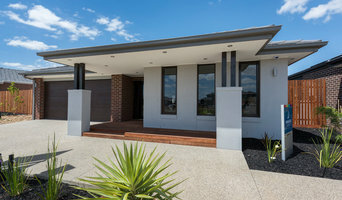 Patrizou Construction Group are Melbourne's specialist master home builders. From start-to-finish, we focus on creating unique, clever and functional living spaces, built with only the highest standards in construction and craftsmanship. As a dedicated residential construction company, we understand that your new home is more than just a house. We take the time to understand your vision so we can complete a renovation, extension or new home that perfectly suits your requirements. New Level Construction is an Australian owned and operated home building company. We specialise in extensions, renovations and custom built new homes. We are a small team with a quality list of sub-contractors that we have built slowly over the past 10 years in the industry. We believe in delivering quality built homes & the highest levels of customer service. Building with New Level Construction means you will have access to every member of our company from the directors through to the tradesman. This personalised service along with custom design and specification help to ensure we meet our client’s needs & expectations every time. We can take your project from inception to completion & anything in-between. If you are looking at building or extending and are not quite sure where to start then please feel free to contact us, we will be more than happy to help! 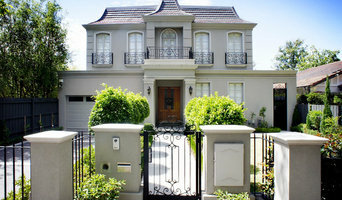 Element Five is a Melbourne based construction company that produces multi-residential for the high-end property market. Melbourne based building company specialising in townhouse and unit developments as well as new home construction. Our primary focus is providing our clients with a streamlined project management service and to deliver projects on time, on budget and to maximum profit. We can eliminate the difficulties of property development by managing every step of the process. From Concept to Sale; architectural plans and town planning applications, subdivision, demolition, building permits, construction and styling. ProjectBuild provides personalised assistance with renovations, extensions, new buildings, design advice and property development. ProjectBuild is committed to delivering individual luxury homes and has chosen to undertake only a select number of projects each year. This allows ProjectBuild to maintain its high standards and work in partnership with each and every client ensuring total client satisfaction. As experienced builders and successful property developers we can often see possibilities, solutions, and options that our clients have not. The team at ProjectBuild thrives on delivering the best possible outcome for their clients which means improved capital value and unsurpassed quality of lifestyle. For those wanting the 'ultimate'- we've identified the most advanced energy efficient building standard in the world. Drawing on over two decades of German precision building technology that is simply unmatched. Passive house is a voluntary building standard that’s simply unparalleled in regards to their superior energy efficiency, comfort levels and performance. Passive Houses allow for energy savings related to heating and cooling requirements of up to 90% for typical building types and over 75% when compared to new builds adhering to the latest energy rating requirements. The heat generated from the occupants and appliances used are generally enough in themselves to maintain a comfortable inside air temperature year round in most cases. To build to the Passive House standard is not only a sound investment for you and your families wellbeing, based on the documented proven performances of certified designs for over 20 years in 45 countries worldwide, it simply makes sense. Galbone Homes is a residential building company operating in Melbourne. We specialise in custom homes and property developments. We can assist with all aspects of projects including design, town planning and construction. At Green Edge Builders we've earned a great reputation as innovative custom builders. For us, no two jobs are ever the same. We work closely with our clients to create a custom design and to build the right home for the right person. Whether it's a small renovation such as a new deck or outdoor entertaining area, a new kitchen or bathroom, a large extension to cater for a growing family, or a complete ground-up rebuild, we relish any challenge we undertake. Our enthusiastic approach to building means we always exceed our clients expectations. You can count on the highest quality from Green Edge Builders.